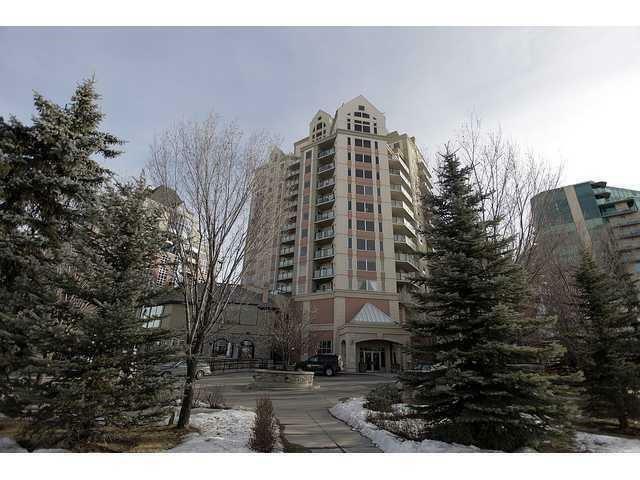 Executive, 1,600 sq.ft two bedroom and two bathroom, 8th floor condo in the prestigious Chateau La Caille. 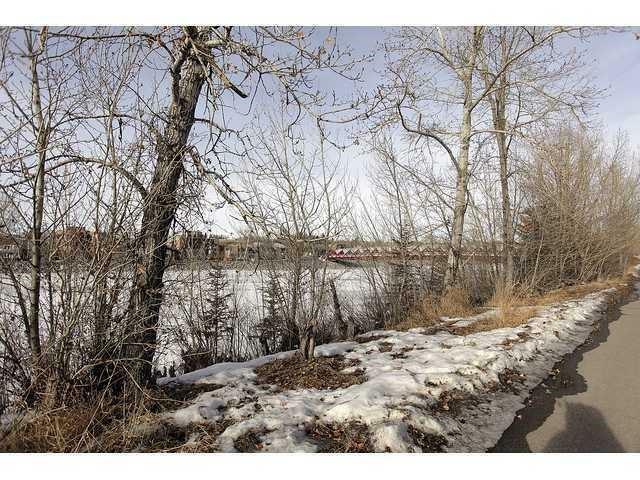 This luxury building situated on the edge of the Bow River and its wonderful pathway system, the Peace Bridge and Downtown core. 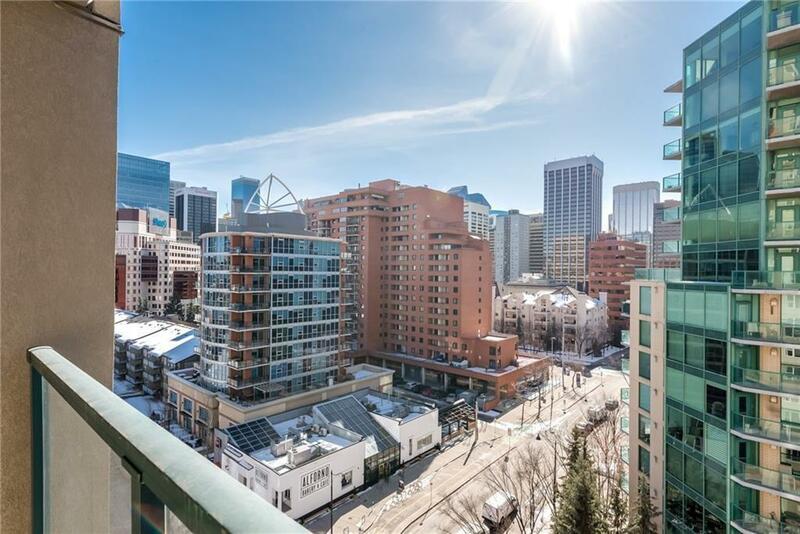 This bright residence is finished with modern laminate and tile flooring and features spacious kitchen with black granite and large pantry, sunny breakfast den, large living room with south faced balcony and views of downtown. 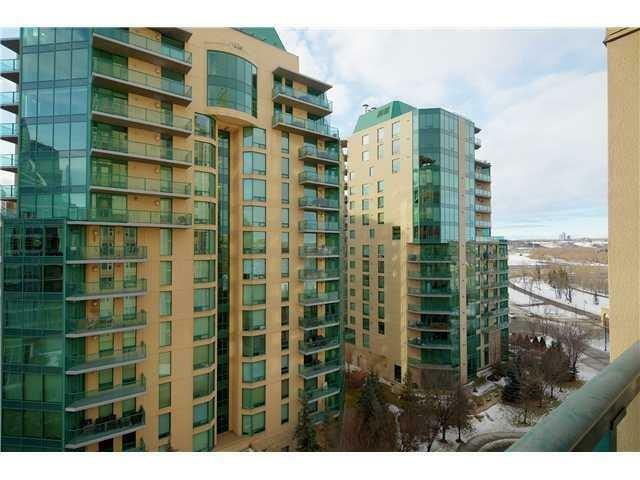 You will enjoy great master bedroom with huge 5-piece ensuite and walk-in closet and good sized second bedroom. TWO UNDERGROUND titled parking stalls and Titled storage. Great place to enjoy City life !